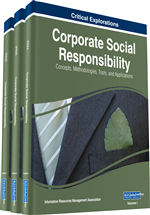 This case considers the attempts to create sustainable HR practices as part of the development of a Corporate Social Responsibility (CSR) policy in a multinational hospitality group. This practice has become an opportunity given the creation and growth of the tourism industry in many countries worldwide. The case investigates the extent of HR policy compliance in these hotels—in a case study based on Egypt—matched against their stated head office policies and benchmarked against best practice frameworks in the literature, which define and suggest frameworks for analyzing and measuring HR practice in hotels. The HR policies in practice in examples of properties in Egypt, although not exactly in compliance with head office, show some concern within the capabilities of the local management in Egypt and within the constraints of the local population in offering improved HR-related benefits to staff members. Certainly, the multinational-branded properties are better than the local ones, but they still have some way to go. Typical multinational hotel chains – such as the Marriott, the Hilton, the Intercontinental, and the Accor group – show on their international websites their head office published HR and CSR policies. Here, we show a brief review of these policies, in order to use these as a benchmark from which to assess the performance of the properties in Egypt against these policies. To what extent are these properties being influenced by their head office to spread best practice CSR and HR practices to developing countries? Or are these properties in emerging markets – although advertising their international branding – just carrying on in the same way as local properties? On its head office website, Marriott International categorizes three main areas of its interest in CSR, especially related to people – Business Values (Marriott Ethical and Legal Standards), Environmental topics (Marriott Leadership in Responsible Hospitality Management), and Society issues (Marriott Volunteer, in-kind and financial contributions). The Marriott group worldwide, in its publicity material, claims to have adopted a number of processes and procedures to promote ethical business standards in its properties. The ‘Code of Business Ethics’ and related training programs are an attempt to raise awareness about conducting business ethically. This is expected from the company’s employees and suppliers alike, as a result of this publicity. Their ‘Human Rights Policy Statement’ aims to raise awareness about the human rights of their employees, and the group formally takes a stand against child labor and sexual exploitation of children. The hotel group insists that it conducts internal audits to determine whether managers in the field are complying with their Ethical Conduct policy and maintaining labor standards and anti-corruption policies and procedures. The company claims to create jobs in the hospitality sector within the communities where they operate, either directly with the company or through suppliers. The company also claims to assist the community by providing vulnerable individuals with shelter, food and healthcare through their corporate volunteer programs and through affiliation with other organizations. The Marriott Group argues that it has made its contribution to the community generally, especially in times of disaster, as exemplified by the ‘Marriott and Ritz-Carlton Disaster Relief Fund – Hurricane Katrina’ in recent years. The Marriott worldwide operation also claims to support several educational programs for youth interested in pursuing careers in hospitality, in collaboration with the International Tourism Partnership’s Youth Career Initiative. Marriott’s ‘Sustainability Report’ also reports the launch of their ‘Global Diversity and Inclusion Council’ which monitors and develops their diversity and inclusion strategy that attempts to promote diversity within the workforce, ownership, customer and supplier community (Marriott, 2010).